The U.S. Food and Drug Administration (FDA) recently approved expanding the use of the antibody–drug conjugate brentuximab vedotin (Adcetris) to include certain patients with two types of non-Hodgkin lymphoma. 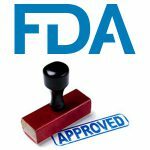 Recently, the U.S. Food and Drug Administration (FDA) approved the molecularly targeted therapeutic vemurafenib (Zelboraf) for treating certain adults who have a rare type of blood cancer called Erdheim-Chester disease. Vemurafenib targets mutant forms of the protein BRAF, and it has been approved for treating those patients whose Erdheim-Chester disease harbors the BRAF V600 mutation. 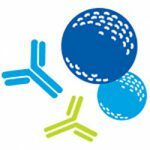 Last week, the U.S. Food and Drug Administration (FDA) approved the second of a revolutionary new type of immunotherapy known as chimeric antigen receptor (CAR) T–cell therapy. Last week, the U.S. Food and Drug Administration (FDA) provided some good news for the breast cancer community just days before the start of breast cancer awareness month when it added a new molecularly targeted therapeutic to the armamentarium for oncologists treating patients with breast cancer: abemaciclib (Verzenio). 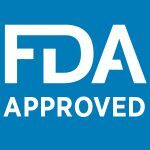 Last week, the U.S. Food and Drug Administration (FDA) increased the number of types of cancer for which immunotherapeutics known as checkpoint inhibitors are a treatment option when it expanded the approved uses of nivolumab (Opdivo) and pembrolizumab (Keytruda) to include certain patients with liver cancer and stomach cancer, respectively.